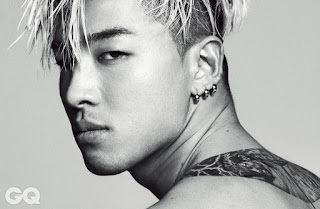 BIGBANG's Taeyang has been criticized for his alleged racist post on Instagram. He has now removed the post and issued an apology. Taeyang used an app that allows users to fuse their faces with someone else's. For Korean fans, he fused his face with T.O.P's and for international ones he used Kanye West's face. The issue arouse when Taeyang said, “Happy Monkey New Year”, and tried to imitate a monkey using the mash-up of the American rapper. When the mash-up was between Taeyang and & T.O.P he simply tried to imitate his fellow group member and wishing a happy new year in Korean.